Although not the most talked-about part of the home, your gutter serves a vital role in stormwater management, tasked with diverting rainwater and other precipitation off the roof and safely away from the home. Without proper installation, care, maintenance and repair, your home could face serious challenges should a big storm hit – such as structural damage, damp interior walls, leaking or even the growth of mold. At Energy Efficient Replacements, we take pride in our complete gutter services. Each seamless gutter is manufactured on site inside of our mobile box truck to custom fit to your home. We use only the best techniques throughout the entire process, including the use of heavy duty hidden hangers with top quality screws – no nails – so if necessary, things can be adjusted without damaging your house of the gutters themselves. We pride ourselves on the use of only high quality materials – handcrafted to guarantee durability and function for years to come. Choose from a selection of gutter options, including K-style or half-round, aluminum or copper – in a wide variety of colors. Each gutter comes with a standard 20 year finish warranty for 0.032 gauge aluminum. Gutter installation:Our expert team manufactures and installs your new seamless gutter on site to fit seamlessly into your home. 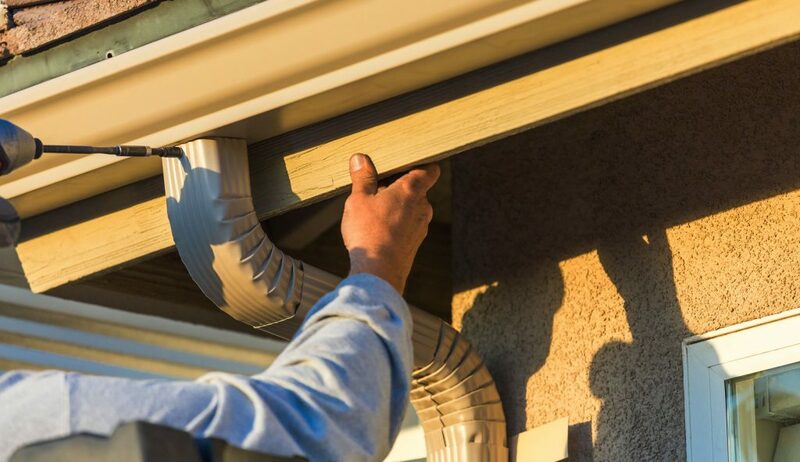 Following each job, promise to leave your home exactly how we found it when we arrived – with a brand new gutter of course! Gutter maintenance & repair: Gutter maintenance and repair is vital to the health of your system. If you think your gutter may need a repair, have the experts come take a look. We guarantee that the job will be completed efficiently, to the highest standards. Gutter replacement: Don’t let your old, worn-out gutter go unchecked. This could lead to home damage in the future as more precipitation enters the gutter system. We offer a free, no obligation consultation on our complete seamless gutter services. Please don’t hesitate to contact us for a free, no pressure quote today! We’re more than happy to discuss your project further, including preparing a written proposal and showing you samples of the products we recommend with our various financing options.